...and meal plan and workout plan out there and you are TIRED of being on the rollercoaster of restrictive dieting, exhausting workouts, feeling tired and hungry (who said carbs were bad anyways!? ), cheating on your diet, skipping workouts, feeling guilty when you look at the scale, and then doing it all over again. You CRAVE feeling like yourself again, and want to love what you see in the mirror (no matter what number is on the scale). But who has time for hours in the gym!? You KNOW you need to take care of yourself, but you don’t have a plan or someone to hold you to it- you need some serious accountability to get in shape. then you need to join the Belle Tribe. If you thrive in a group setting, but still want the perks of having your own personal trainer and nutrition coach, come hang out with us! The program is all online which means it can fit into your life and your schedule. Low-key, no fuss or frills and no-pressure -- just real-life accountability along with some serious, life-changing training. So, what does membership include? +Enrollment in my Precision Nutrition course - daily lessons and habit practices are delivered straight to your inbox for you to read or listen to at your leisure. Check out the video about Precision Nutrition here. But what about food? What diet do I have to do? I hate diets. They don’t work long term and aren’t enjoyable. The nutrition program included in The Belle Tribe isn’t a restrictive meal plan— in fact there's no meal plan you have to stick to at all! It’s a habit-based guide to help you navigate eating well in REAL life! No dieting, no lists of foods you can and can't eat, carbs aren't the enemy (neither is dessert!) and NO guilt. With the extra support and accountability from me and the other women in the group, you are set up for success. Training with me and having the support of the women in our tribe will be the catalyst for your success in weight loss, gaining strength, having more energy, enjoying a healthy pregnancy or any goal in-between or beyond-- because no matter what you want to accomplish, I am here to help you do it. This package includes my habit-based nutrition program from Precision Nutrition, access to the private Belle Tribe Facebook group, and a monthly workout plan (adaptable to the gym or home!). It’s like having a personal trainer on speed dial whenever you need me! In addition to all of the features included in the other packages, this also includes Voxer/text access to me 7 days/week & a personalized workout plan or macro count every month to help you meet your specific goals even quicker! What I love most about the online program is that it didn’t necessarily tell me what I HAD to do, it provided me with a TON of information that allowed me to learn what works BEST for me. I could fit the program into my lifestyle. The program helped me to clarify my goals and get what I wanted out it. We’re all different and we all have different goals- it is not a cookie cutter program. Online coaching taught me daily habits that I could incorporate into my schedule and life. ....No - actually you CAN do that. And I can help you find a plan that actually allows you to do that in a way that fits into your life and your schedule. Here in the Belle Tribe, you’ll have the accountability you need to reach your OWN goals (not goals someone else has for you! 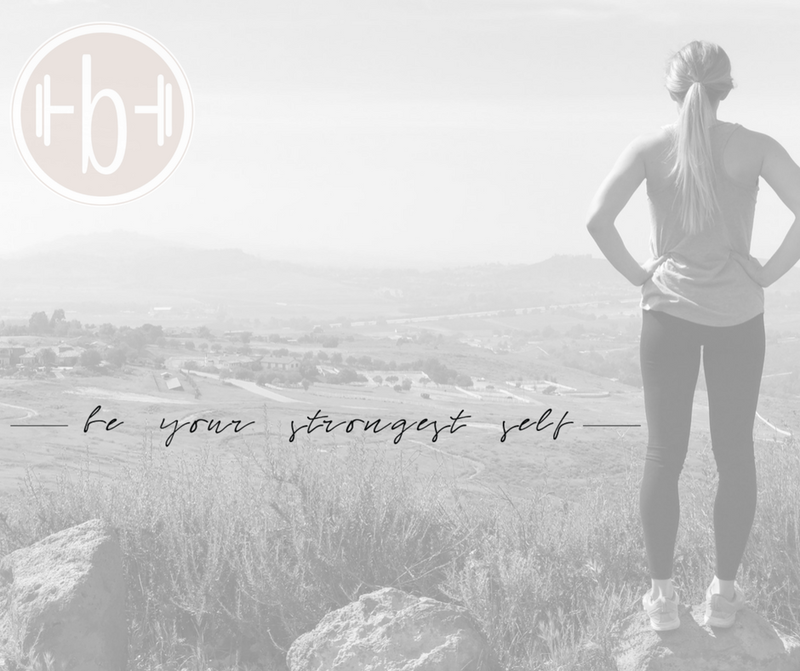 ), learn expertly designed workouts that can be customized to your preferences, and be a part of a tribe of women committed to living INTENTIONALLY and making real-life nutrition (NOT diets) and fitness (at home, outside, or in a gym!) a priority in our lives, no matter what season of life we are in. You can decide to take control of your strength, self- care and health right now. Will you? Hey, friend! I’m Katie: your resident certified personal trainer and nutrition coach who believes in hard work, enjoying life, and laughing a lot. Fresh air, vanilla lattes and Chipotle burritos are my jam and when I’m not training clients I am loving on my husband, our babies and our sweet puppy. I’ve earned a lot of specializations as a Certified Personal Trainer in Fitness Nutrition, Corrective Exercise, Group Training, Youth Fitness, Weight Loss, Women's Fitness, and Pre and Post-Natal Fitness, and I won’t stop learning so that I can serve my beautiful clients the best I can!